the most important day of your life? Then you're in safe hands. Daniel's astonishing magic and professional approach will have your guests talking for a long time to come. 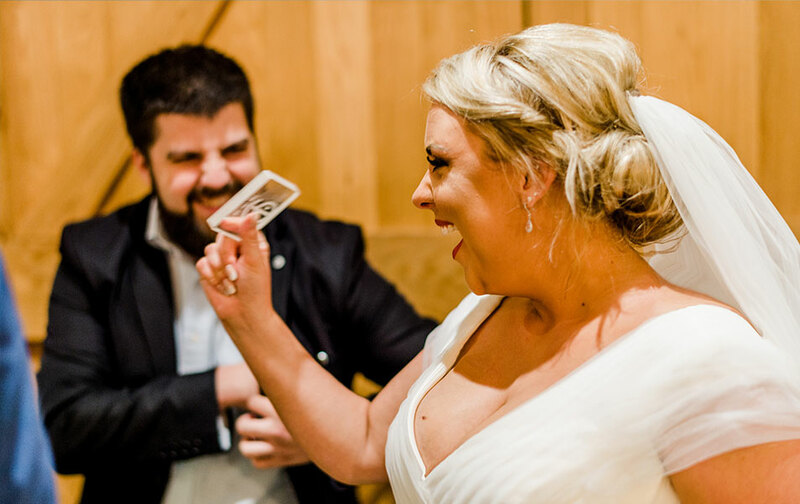 Magic can keep people entertained while they are waiting during the photographs, during the dinner or the evening party. Daniel has vast experiencing performing at weddings. He enjoys being part of something unique and special and making it a truly magical experience. No wedding is the same so Daniel will ensure your day really is as wonderful as it’s meant to be! 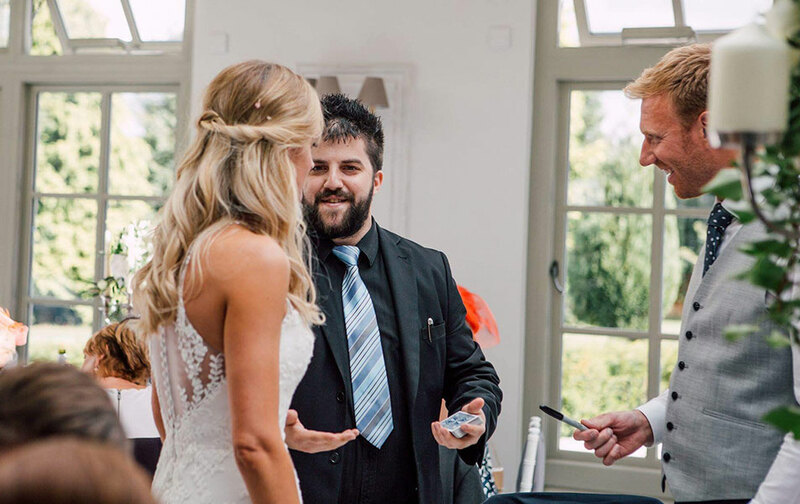 Daniel is an award winning close up magician and loves to amaze your guests right in there own hands. You can to relax and enjoy your special day. All you need to know is your guests are having a great time. Daniel is the perfect ice breaker to get everyone laughing and talking and everyone will be talking about your wedding for years to come. 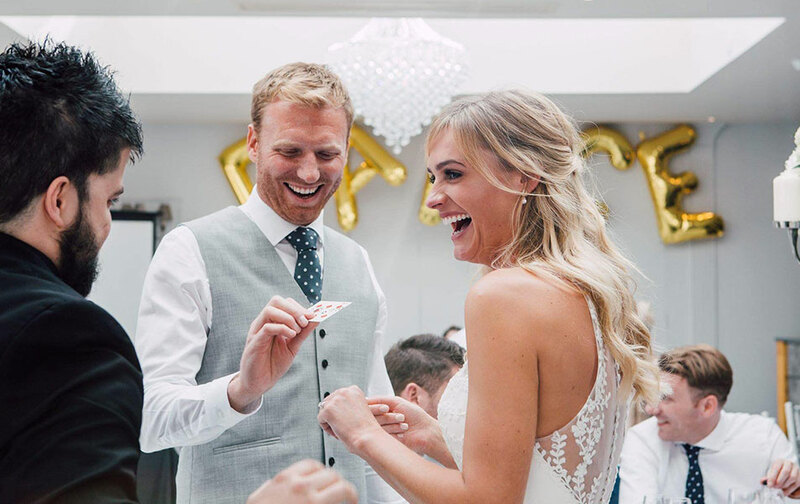 During reception drinks or performing at tables during a meal, Daniels close-up magic is the perfect way to get people talking and ensure that people are kept smiling and enjoying themselves throughout the proceedings. With over 15 years experience performing in every type of environment, Daniel's highly adaptable approach can be tailored to meet your specific needs. 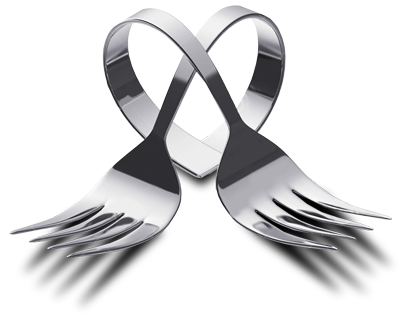 Performing impossible, modern miracles with everyday items such as cards, coins, rings etc that are GUARANTEED to leave your guests speechless. © 2018 Daniel Chard. All Rights Reserved.